With thousands of apps in the app store, it's almost impossible to find one app that fits all classrooms. The app suggestions below are not content specific apps and can be used in a variety of classrooms. Apps are listed from A to Z. Air Sketch Free (Free) is a whiteboard app that allows you to easily share your whiteboard page in real time with others through a simple url. Even without the sharing features, Air Sketch is a simple whiteboard app that allows for creating drawings or any writing on the iPad. Applications: Use the url to share your iPad whiteboard to a computer attached to a projector - now your iPad is wirelessly connected to your screen. Ask students to solve a problem on the iPad screen. Ask students to solve problems, draw, or write on the iPad. 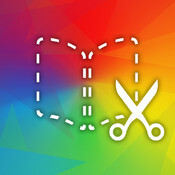 Book Creator ($4.99) is a book creation app that allows students to create digital flip books with photos, sound, and text. Students can design pages from scratch and incorporate media into their books. When a book is finished it can be exported to iBooks and shared for a real digital book experience. Applications: Students can create books with content from any topic they are currently studying. How about a book of each of the planets students are studying? A book about animals including info students have been researching. Maybe a student could take a picture of a math problem and explain the steps to solve it. 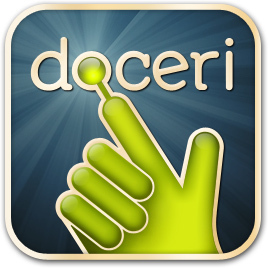 Doceri (free) is a whiteboard app that allows you to use your iPad as an interactive whiteboard when attached to a display. It has many different pen and annotation features and allows you to import pictures from your camera roll. With the option for several different backgrounds, you are sure to find a way to use this app in most any subject. In addition to its whiteboard features you can also record your annotations in the app and create several pages that can be played back. In addition to the free functionality, there is a desktop version which will connect with your computer for some additional great features. Applications: Use this app and airplay or connect with a VGA cable to have your own interactive whiteboard. Like other whiteboard apps, you can record yourself so, ask students to work a problem and record and playback. A teacher could work a problem and playback or share with students to watch for homework. Evernote (free) is a note taking app that allows students and teachers to take photos, voice recordings, and create notes. Once notes are added to Evernote, they can be searched and easily found - pictures of text can be searched too! The most amazing thing about this app is that it can sync across any mobile device (iPhone, iPod, iPad, Android), Mac and Windows computers. Explain Everything ($2.99) is a versatile app that allows you to create screen recordings of almost any content on your iPad. With Explain Everything, you can import items from cloud storage, export to cloud storage, and export a video to the camera roll. Explain Everything can be used by students and teachers both for creating educational content that can explain a concept or demonstrate knowledge of a concept. Applications: Teachers can create a recording demonstrating a concept that is being taught in class. Recording can shared to YouTube and made available for homework help. Students can create recordings demonstrating an idea they have learned. Student videos can be turned in to teachers through the cloud storage options or sent to the camera roll. 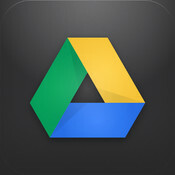 Google Drive (free) is an iPad app that allows you to access your Google Drive account. The Google Drive app is a great way to create documents, spreadsheets, and folders to organize your documents. With this app you can also upload and share your photos and videos from your iPad. Many of the same sharing features of the desktop version are available. 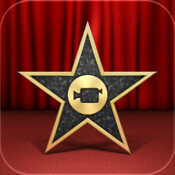 iMovie ($4.99) is a movie making app that allows you to shoot video directly from your iPad camera and create great looking movies. You can add text, transitions, and create photo slide shows. In addition to these features you can record your voice and add it to videos and pictures in their project. Movie trailers provide a template to create professional looking movie trailers. Applications: Have students create a video showing their research on a science project. Students could make a video showing the steps to solving a multi-step problem. At the completion of a book, students can create book trailers summarizing the book they just read. Penultimate (free) is an app that works with Evernote (above). 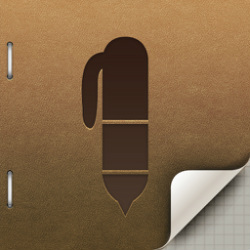 With Penultimate, you can create notebooks of hand written notes. Photos and images can be imported to Penultimate and annotated. Once a note is created with Penultimate, it can be shared via email, to the iPad Camera Roll, or opened in another app like Dropbox, Drive, etc. Applications: Students can take handwritten notes from class. Students can create visual drawings, demonstrating a concept. With several different backgrounds, students can graph and even write music on manuscript paper. 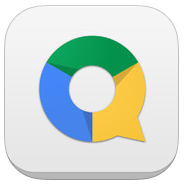 Quickoffice (free) is a Google app which allows you to edit Microsoft Office files on your iPad. You can create and edit document, spreadsheets, and even presentations. You sign in first with a Google Account and then you can save work in Google Drive or send vial email. Applications: Students can create presentations, edit documents, and share work via a learning management system or through email.